The photo submitted by Angela Ruggles of her grandson won second place in the Scared Santa contest. 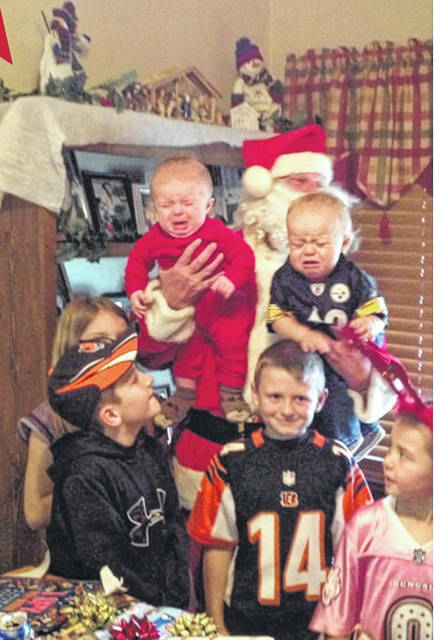 The photo submitted by Heather Coleman was voted first place in the Scared Santa contest. The winners of the Daily Times Scared Santa contest held online at portsmouth-dailytimes.com have been announced. A photo submitted by Heather Coleman, with her children on Santa’s lap won the first place prize of $100. The photo shows two older children watching as their two younger brothers are screaming at the sight of the bearded old guy from the North Pole. 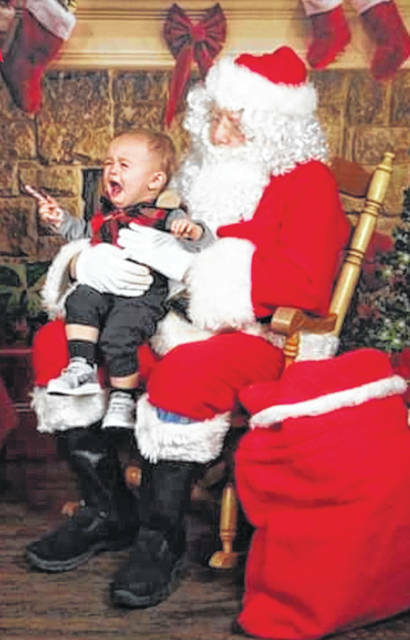 https://www.portsmouth-dailytimes.com/wp-content/uploads/sites/28/2019/01/web1_SCARED222jpg.jpgThe photo submitted by Angela Ruggles of her grandson won second place in the Scared Santa contest. https://www.portsmouth-dailytimes.com/wp-content/uploads/sites/28/2019/01/web1_SCARED111jpg.jpgThe photo submitted by Heather Coleman was voted first place in the Scared Santa contest.